« What is MSM (Methylsulfonylmethane)? Let’s cover all of the bases. Monosodium glutamate (MSG) has at least 20 different names. There are many other products/additives that are simply “sisters” or “cousins” of MSG, but beware, because MSG is amacro-combination of these other “food” additives and chemically engineered flavor enhancers. Plus, the MSG “cousin” additives do not have to be labeled as MSG because they are not manufactured in tandem, so when enough of them add up in your daily intake, you may as well have eaten MSG on an empty stomach. How do you avoid MSG, aspartame and their criminal cousins? 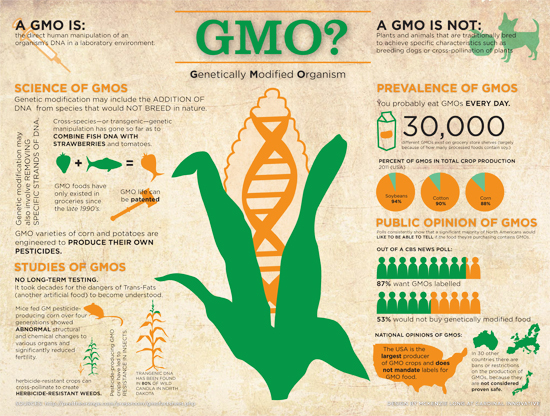 Warning: don’t be fooled by “Pro-MSG” websites that state MSG is an amino acid that the “body produces on its own,” because the MSG on store shelves is processed, GMO and comes from fermented sugar beets. That’s why Monsanto has a monopoly on sugar beets. Watch out for glutamic acid and its ions and salts called glutamates, which are compounds found in many fermented foods, including soy sauce, cheese and hydrolyzed protein. MSG is the leading cause of migraine headaches, which result from a blood vessel enlargement and the release of chemicals from nerve fibers that coil around these vessels. During the headache, an artery enlarges outside the skull, but just under the skin (the temple). This is when the warning signs that you’ve consumed MSG ring out, and many people experience flashes of light, blind spots, tingling in the arms and legs, nausea, vomiting, and increased sensitivity to light and sound. The pain becomes so excruciating, it’s almost unbearable. Some migraines are known to last for days. Could that be because the medicine you take contains more? Aspartame was banned for decades in the U.S. until 1980, when Ronald Reagan and the infamous Donald Rumsfeld fired the head of the FDA and hired Arthur Hayes Hull, Jr., who immediately approved aspartame (http://www.nndb.com/people/634/000023565/). Hull later left the FDA under allegations of impropriety and then took a position with Burston-Marsteller, the chief public relations firm for both Monsanto and GD Searle. Since that time, he has never spoken publicly about aspartame. Nobody wonders why. Rumsfeld was CEO of Searle Pharmaceutical, which pushed heavily (lobbied millions of dollars) for years foraspartame’s and MSG approval. Perfect timing for the weight loss craze of the 80s, and look where it got the masses. Can you say obesity problem? Rumsfeld made campaign contributions to at least two Democratic candidates for office, Bill Bradley and John Glenn. Since then, aspartame and MSG have invaded the medicine and supplement markets. MSG and Sorbitol (chemical sweetener) can be found in flu shots and vaccines. The CDC website states that, “chemicals are added to vaccines to inactivate a virus or bacteria and stabilize the vaccine, helping to preserve the vaccine and prevent it from losing its potency over time,” but what about destabilizing the human being who is having damaging neurotoxins injected directly into the blood stream? What about that? 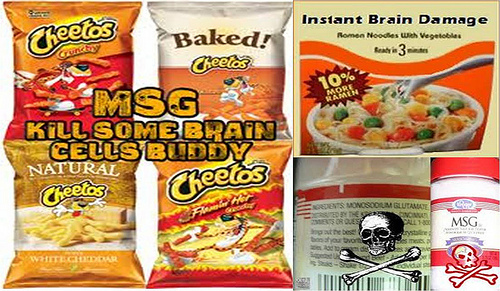 MSG and aspartame cross the blood-brain barrier and can do irreparable damage to the central nervous system (CNS). The bottom line is that MSG and aspartame are chemicals and should have NEVER been allowed in food or medicine. It is an atrocity to mankind and the entire healthcare industry. Aspartame actually tricks your body into thinking its getting something sweet, so you crave more, and you’re hungrier, all while your body is ingesting a mutagenic carcinogen. This is when the REAL DAMAGE gets done. Aspartame causes nervous disorders and is not natural. It can turn into formaldehyde in the body, especially during physical exhaustion and when being digested on an empty stomach. Both MSG and aspartame cause cells to mutate and multiply uncontrollably (cancer) in lab mice and in human beings. • Neurotransmitters can be disrupted: MSG and aspartame interact with other drugs and vaccines. They don’t tell you THAT on the chips and chewing gum labels. • Neuromuscular disorders and brain lesions. • Aspartame is inconspicuously marketed under various brand names like Equal, Nutrasweet, Spoonful, Indulge, Equal-Measure, etc. It is found in thousands of products including children’s vitamins and protein powders. It is the most widely used artificial sweetener and has captured 50 percent of the world market since 1981. Symptoms of aspartame poisoning include dizziness, muscle spasms, insomnia, slurred speech, vertigo, memory loss, joint pain, and of course, seizures. The most ironic symptom is loss of taste (http://dorway.com/doctors-speak-out/emerging-facts-about-aspartame/). Consumption of food flavoring criminals can cause dopamine and serotonin levels to be disrupted and altered. That’s right; you don’t have to be on “psych meds” to experience depression, anxiety and migraine headaches. Basically, the food industry is working hard to get you to go to your “doctor” for a Big Pharma prescription, which will ironically ADD side effects and new symptoms of TOXIC BLOOD, like severe mood swings, feelings of depression and suicide. No thanks! Let’s stick with organic food and natural remedies. Tagged aspartame, food, MSG. Bookmark the permalink.